Just like dog is a man’s best friend, I think it’s safe to say that accessories are a girl’s best friend. 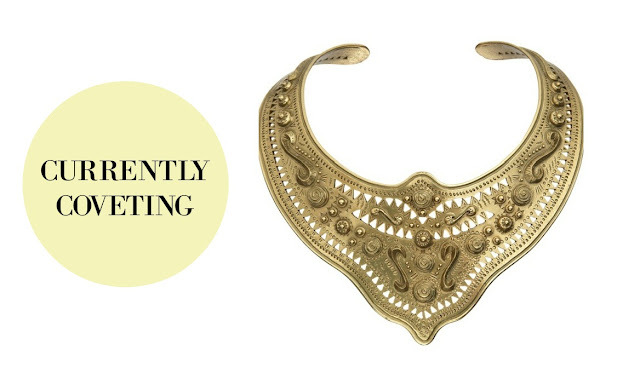 There is just something about the way a stunning necklace can completely transform an outfit. And don’t get me started on the way a great stack of bracelets can look next to a fresh manicure. So many beautiful baubles, and not enough time to wear them, it seems! But that’s just the beginning. Accessories don’t stop at jewelry, as they can range from special hairpins to hats to tights to the shoes on your feet. Keeping an eye on new accessory trends is one of my favorite parts about fashion, because you can never really have too many add-ons. They all come in handy at some point, with some ensemble. Large and in charge, breastplate necklaces provide a whole new meaning to the word “statement piece.” You can instantly make any top or blouse have a completely different look with the addition of one of these cool necklaces. Fashionisers reported that these pieces were all the rage on many runways. We all love our trusty neutral-colored handbags that strategically match everything we own with no additional effort. But every now and then, it’s important to mix things up when it comes to the things you carry. That’s why I’m coveting the loud bags Vogue profiled as one of the hottest trends right now. Bright prints and graphics go a long way, even on a little purse. Many people think of big earrings as a sign of the past, but it seems that this year is the year of all things overstated. Big earrings in geometric shapes, bright colors and long lengths are gracing the shoulders of models in all kinds of fashion campaigns. I like that Marie Claire offers styling advice on this “go big or go home” trend. Adding height to your look is crucial in many cases, but not all occasions apply for the wow-factor of stilettos. That’s where the chunky platform sandals come into play. Within Lyst’s collection, there are styles ideal for both a day on the town and a nice dinner date—meaning there’s never a wrong time to switch up your shoe silhouette. When it comes to hair trends this season, there is no holding back on what would be considered too much. Beautiful, ornate clips and decorations are being woven into free-flowing locks and braids alike. Gold detail is a great way to polish up a hairdo that needs a little help. A lot of different options can be seen in Harper’s Bazaar’s roundup. They’re certainly not for the shy, but that’s what makes them so fun!